In the summer we spend almost all our downtime at home on our patio that Bjorn built the first spring we had our house. We eat here, entertain here, do our internetting, gaze at the garden, plan our trips, rehash the day, daydream, read and occasionally we even get up to pull some weeds. I am serious when I say that I could spend 10 hours a day here from the minute spring arrives until the fall chill takes hold. Some days, I do exactly that. Still there are days when nothing is better than to have someone else cook for us and to return to our haunts from the days of apartment living when patio-dining was our best excuse to spend time outdoors. I rank Salut on Grand Avenue, the Happy Gnome, and W.A. Frost best patios in Saint Paul for great food and drink. Relaxing through a meal while tucked into a private corner of these outdoor rooms is a magical summer escape. Sweeneys and Billy’s on Grand have solid bar food and are happening and fun. Anyone who has ever set foot in Saint Paul, Minnesota at dinner time in the summer already knows about these fixtures. This means they’re always busy. Today, I’m going to share a taste of two patios that have a certain popularity, but are a little lesser known. As a regular at Ngon and El Norteño who likes to be able to march in and sit right down at an open table, I had to think twice before tipping my hand. In the interest of encouraging the success of restaurants I like, I’m going to give their patios a public shout-out. 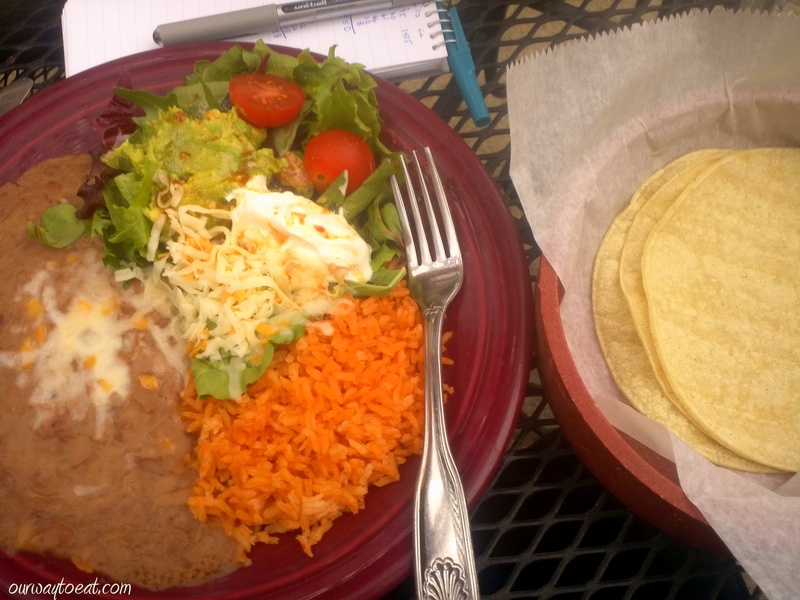 For an escape and a reliably tasty meal, the patios at Ngon and Norteño are hidden gems. I’ve mentioned Ngon on my blog before. We keep returning to Ngon and enjoy the authentic and inventive Vietnamese cuisine. Their use of local and sustainable meat and produce, their stellar selection of exclusively local beers and their house-made charcuterie that Bjorn has enjoyed on earlier visits have proven to contribute to consistently tasty meals. We found that we equally enjoyed these aspects of the restaurant when we dined on the patio behind the restaurant, hidden from the world by high fences and shaded from the early evening sun by grapevine-wound pergola. We entered Ngon through the front door which was a bit of an experience in inaccessibility due to the construction of the light rail on University Avenue. We requested a spot outside and were directed out of the restaurant and back to the sidewalk through the side door and then into the private patio through a gate under a mosiac sign showing the restaurant’s name. The hostess informed us that we could not have soup on the patio–it is too hot for the servers to carry this out. When I heard this, I was a little disappointed. I have ordered Hủ Tiếu with egg noodles almost every time I eat at Ngon. I am in love with this steamy bowl of squiggly egg noodles and thinly sliced carrot and daikon, halved brussel sprouts, grape tomatoes, whole green beans and bok choy, all still-crunchy, swimming in a light, tasty, clear vegetable broth. With a little encouragement by my wise husband, I got past my Who Moved my Cheese? moment and realized that change is good, and its high time I venture out into the rest of the menu because it was way too nice to eat indoors. Now that I’m thinking about it, maybe eating a huge bowl of hot soup on a 90 degree evening wouldn’t be be too many people’s idea of a good time!? 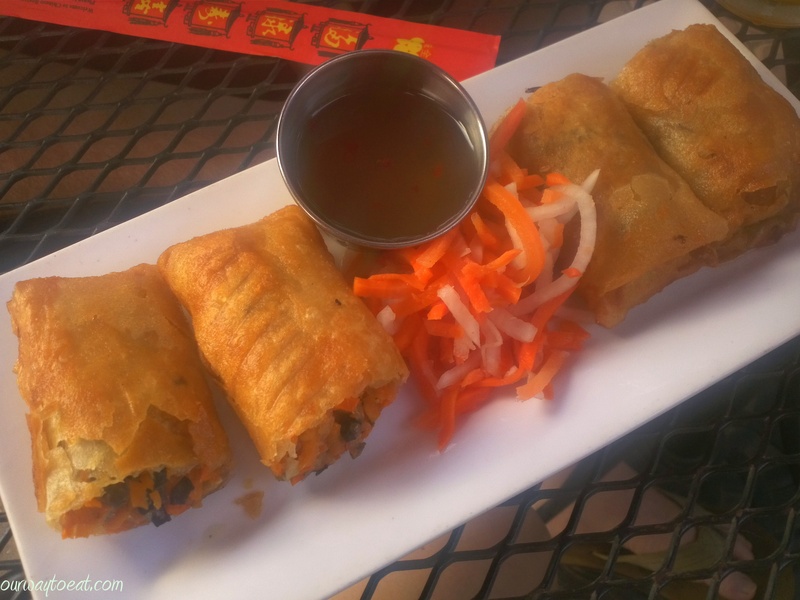 We arrived hungry so we started our meal with crispy Vietnamese egg rolls, a crunchy, freshly-fried indulgence filled with vegetables and mushroom served with a little pickly shredded carrot and daikon. 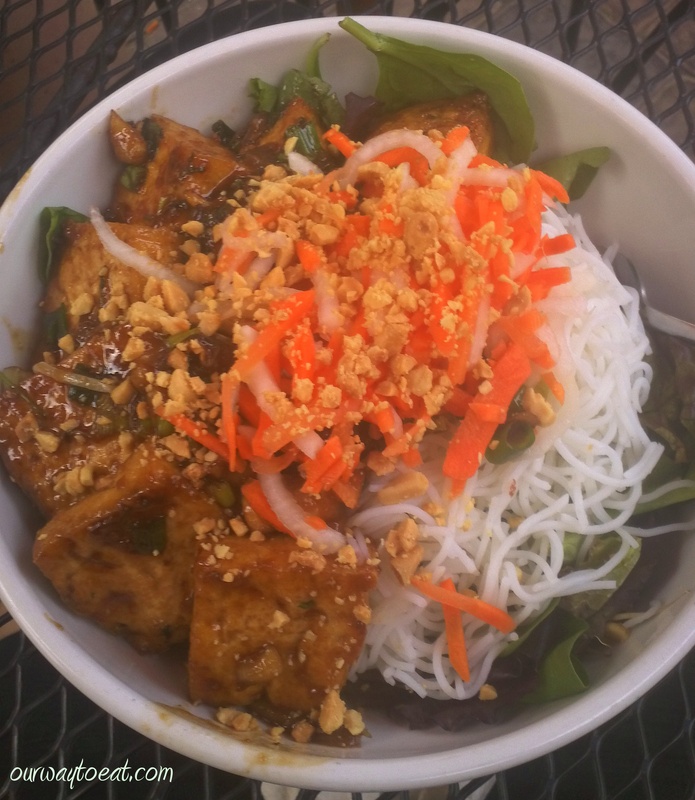 I settled on Bún, a rice vermicelli salad with organic greens, cucumbers, bean sprouts with a generous amount of saucy fried tofu, garnished with more pickly shredded daikon and carrot, herbs and peanuts. It was refreshing, tasty and totally solid, but won’t oust Hủ Tiếu from its position as my Ngon favorite. Bjorn ordered braised pork shoulder with basil pasta which he thought was very good. I didn’t manage to get a photo. The patio at El Norteño is similar to all the others I’ve mentioned in that it is secluded. This particular patio wins hands-down for its foliage and flora, which is well-tended– obviously by a green thumb. There are potted plants bursting with herbs and flowers and thriving perennials layered several feet deep around inside the entire enclosure which creates a wonderfully lush atmosphere for a relaxing meal. There is plenty of room on the patio. The food is straight-forward, authentic Mexican fare. Tacos, burritos, enchiladas, flautas, tostadas and fajitas with chicken, pork, beef or veggies, served with beans, rice, fresh vegetables and traditional sauces. It is simple. Norteño isn’t going to win awards for culinary ingenuity, but the food hits the spot. 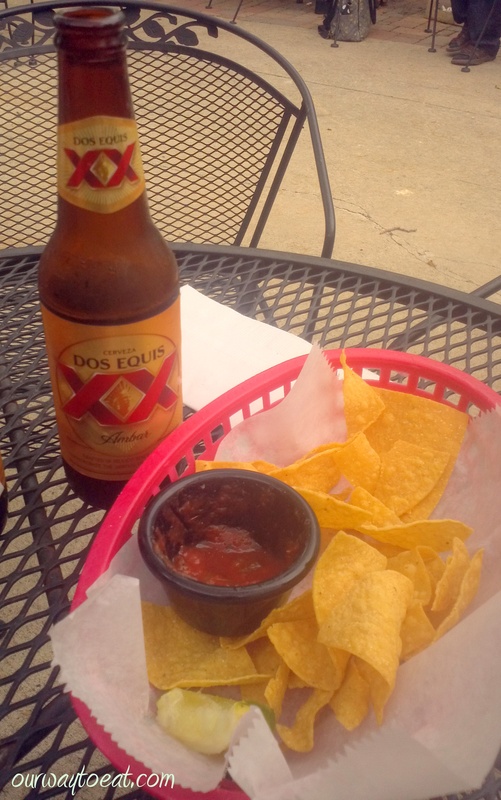 The servers who also seem to cook, are few in number, so they aren’t going to win praise for attentiveness and speed, but when you are sitting outside on a gorgeous night, sipping a Dos Equis Amber, eating chips and fresh salsa while waiting for your food to arrive, who is in a hurry, exactly? El Norteño is licensed for beer and wine only, so wine margaritas are on the menu, but none with tequila. The only other limitation we’ve faced is our ability to gauge whether El Norteño will be open during dinner hours. With no website to check, we figure it out by taking a quick drive to Longfellow, and end up at the Birchwood, which is nearby when we’ve guessed wrong, which seems to be about half of our attempts. Though simple, their food tastes fresh and has good flavor. This is where I go for Mexican comforts- the lightness of lettuce and tomatoes, rich guacamole, warm fresh tortillas, the energy-giving amino acid balance of rice and beans, and seasoned meats for Bjorn. 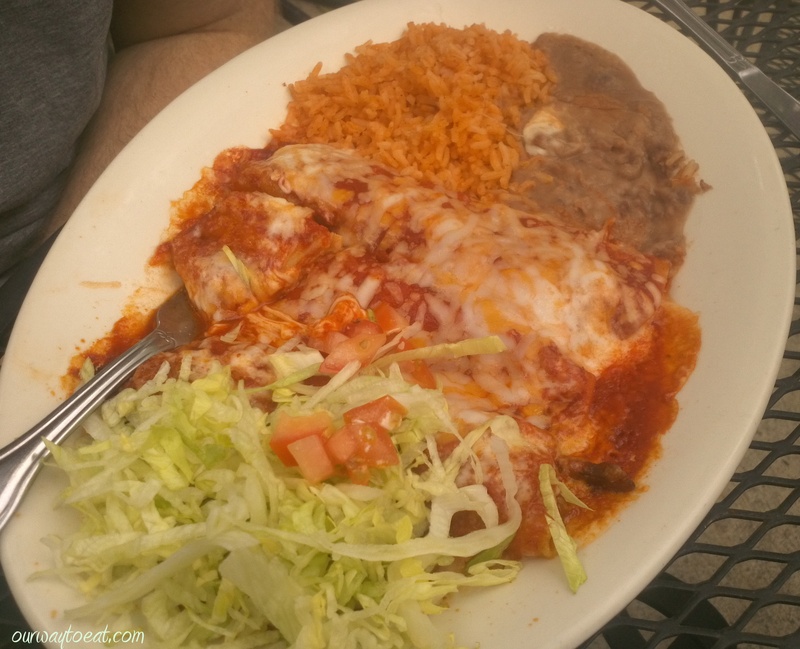 If you’re stuck in the Cities for the 4th of July and need a break from air conditioning, a tasty meal on a patio a little ways off the beaten track is the place to find yourself for lunch or dinner. This entry was posted in Authentic Mexican, Dining Out, Omnivore, Supper, Traditional, Vegetarian, Vietnamese and tagged Billy's on Grand, Bún, Charcuterie, El Norteno, Hu Tieu, Minnesota, Ngon, Restaurant Patio, rice vermicelli salad, Saint Paul, Salut on Grand, Sweeneys, The Happy Gnome, Twin Cities, W.A. Frost by Our Way to Eat. Bookmark the permalink. Makes me want to visit again and check these places out.